Alright, time for something new, and when I say new, I mean like it's only been on the market for a few weeks. 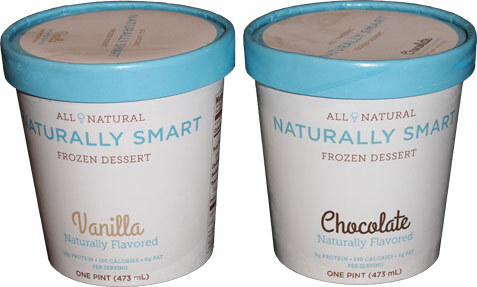 Now I've been talking with Mark Patterson of Naturally Smart (website) for awhile now and I know it's been a long road for him to get here, but he kept with it and now his Jacksonville company is cranking out the first two flavors of a high protein, all natural, frozen dessert. Alright, I go with the vanilla first, and for something that has water as the first ingredient.... it's quite good really. I think a lot of people may not even really notice a difference. They've mixed it together in such a way that it scoops like a hard ice cream. It even has those creamy spoon tracks going on like a normal ice cream. I'm impressed. It's definitely vanilla flavor, not too bold, not too mild. I'm picking up a little something that I couldn't place at first, but then it dawned on me, I taste milk. I taste vanilla milk. That probably sounds either dumb or obvious, but I'm just trying to quantify where this one falls between all the other vanillas I've had. Chocolate next. Again, for what this is, I'm impressed. The texture is pretty impressive. The cocoa is a bit muted here, but it's growing on me. While I was thinking vanilla milk with the last one, I'm getting a smidge of a water vibe here. This is me nitpicking though. For what this is, I am really impressed. 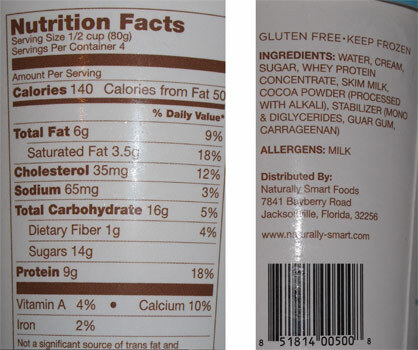 Keep in mind that Arctic Zero also has water as the main ingredient, but this is whey better (hahaha, sorry, couldn't resist). Ok, a few final bites of vanilla and back in the freezer they both go. 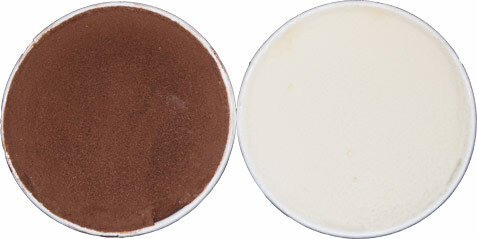 Yup, in it's softened state, the vanilla definitely reminds me of like soft-serve or a fast food vanilla shake. Finishing these pints off should not be a problem. So let's recap. No, this isn't ice cream, it's frozen dairy dessert. However, considering frozen dairy dessert is either usually gummy or lacking any kind of enjoyable consistency, this solid treat is a nice change of pace. And then there's the protein. The better greek frozen yogurts have 5 or 6 at best, and there are a few high end peanut butter flavors with 7g, but 9 or 10 grams is huge! Congrats to Mark and the rest of his team for making this product a reality! On Second Scoop: the vanilla is all gone, and now it's the chocolate's turn. I really do think they did a nice job on creating something different here, and it kept me hooked (my last vanilla serving was almost half the pint). Nice job. Good luck with the other flavors. MSRP is $4.99 a pint.